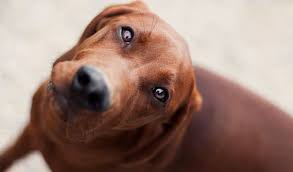 I have been in love with redbone coonhounds ever since I read Where the Red Fern Grows by Wilson Rawls in eighth grade. It’s probably why I chose a redbone for the protagonist of my short story, “Zane in the City,” even though I own a collie. I wrote the story for a contest hosted by the AKC. My research on redbones led me to Wayne Campbell’s website, Timber Chopper Redbones. I couldn’t have found a better source of information on my chosen dog than Wayne’s site. The history of Timber Chopper is fascinating as is the pedigree of their dogs. The dogs themselves are impressive to look at with their gleaming red coats and gentle eyes. Take time to watch the video of Kobie under the Dogs & Pedigrees tabs. Not every ear will appreciate the sound of a hound baying, but take a minute to understand the magnificence and strength behind their voice. I believe a hound’s bay is generated from within the fiber of their being. They live to bark. One of my favorite tabs on Wayne’s site is the Terminology page. What a bonus find for my research on redbones. I was able to correctly depict my fictional redbone’s actions by incorporating the terms found here. Wayne provided the most help when writing my story. He patiently answered my e-mailed questions, and we even spoke on the phone once. His praise for my story let me know I had nailed the character and qualities of redbones. His return e-mail said, “Heather, You did good!! So…very true! Thanks.” I still get thrilled when I read his message. Thank you, Wayne, for helping to make Zane memorable. Below are three fabulous websites I used while researching food for my short story “Italian Cooking.” If you don’t want to visit Italy or at least cook something Italian after reading these then all I can say is, you’re not enjoying food and/or cooking to its fullest. I was ready to hop a plane for Italy and sign up at Academia Barilla. I have no idea how I would pay for it, but who cares?